Seven Trenton NJ churches were awarded monies presented by Mayor Eric Jackson at City Hall on May 28, 2015. 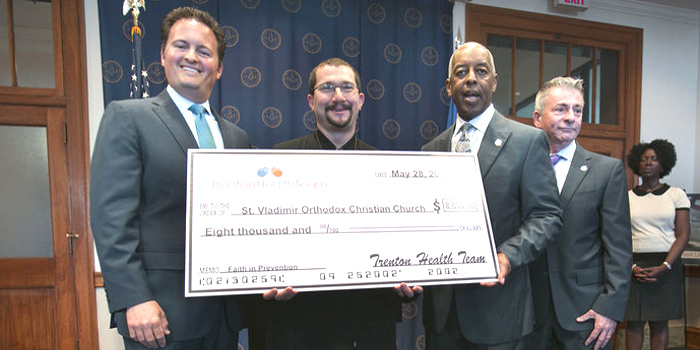 Saint Vladimir Orthodox Church was awarded $9,000 ($8,000 from this program and an additional $1,000 from another source) to cooperate with the “Faithful Families Eating Smart Moving More” program. Saint Vladimir Church is the only Orthodox Christian parish to be awarded the grant that supports and engenders many possibilities for the parish. 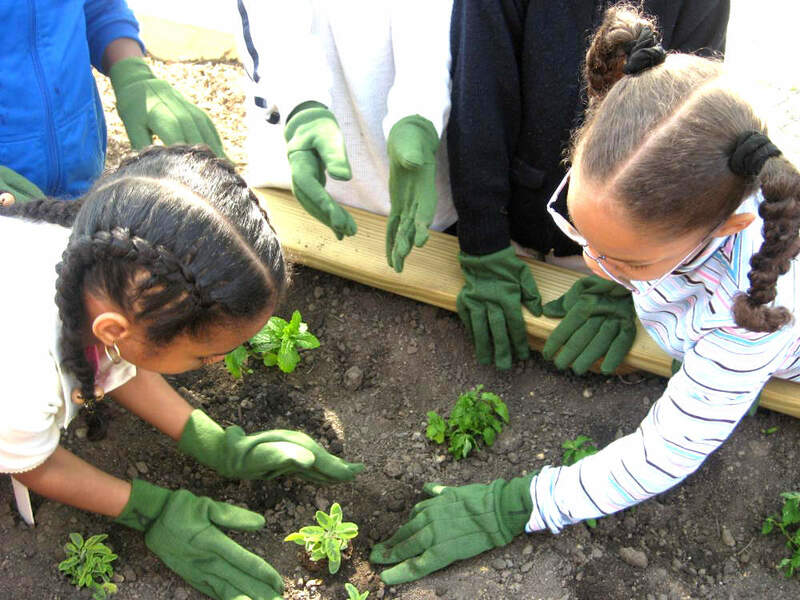 Among them we will be partnering with ISLES, a non-profit organization specializing in planting community gardens. The need to be a presence in this way is tangible. The parish of Saint Vladimir regularly offers assistance to people who make use of their young food pantry because, despite their efforts, they cannot afford to feed their families. “Sometimes we hear stories from people like this and think ‘Yeah right, just tell me you want money already,’ but I visit the homes of these people and meet their families. They are in need and we need to respond to that reality,” Father John commented. Beginning in June, education about healthy eating, fitness, shopping on a budget, and meal preparation will be offered in both Spanish and English for six weeks by lay leaders Tahara Ortiz (English) and Sofia Benitez (Spanish) in the parish hall. The Faithful Families Eating Smart Moving More curriculum is self-contained, led by a leader from that program and a lay-leader from the given parish. “Those who created the program did a nice job of making it simple to navigate and low stress for the leaders,” said Tahara Ortiz. One of the unique opportunities of this program is for the trainers to include in the healthy eating classes our holistic Orthodox Christian approach of the person. Along with the educational classes, cooking demonstrations, and fitness programs, it is the parish’s intention to be offering services of healing: to pray for those who would receive it, and even to offer education about keeping a healthy diet during fasting seasons by focusing on vegan diets. 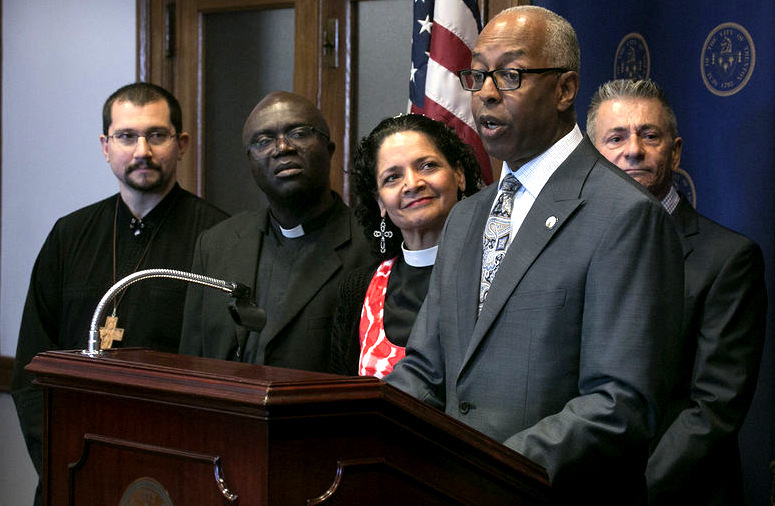 One of the real blessings of the program is that those who awarded the grant understand the importance of faith-based communities incorporating values congruous with the curriculum being offered and the faith-based community offering it.